What if you had the superpower to save 10 buildings in Hong Kong so they’d never be demolished—which buildings could make the list? Charles Lai, a UK-registered architect and a PhD candidate in architectural history at The University of Hong Kong, laughs and then ponders Hong Kong Cheapo’s life-or-death question. “First of all, I wouldn’t worry about the celebrated landmarks, nor the declared monuments that are protected by the government,” says Lai. 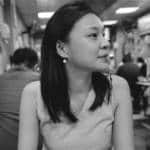 Lai, also a member of Docomomo—short for International Committee for Documentation and Conservation of Buildings, Sites and Neighbourhoods of the Modern Movement—sometimes organises guided tours to admire the forgotten buildings in Hong Kong. 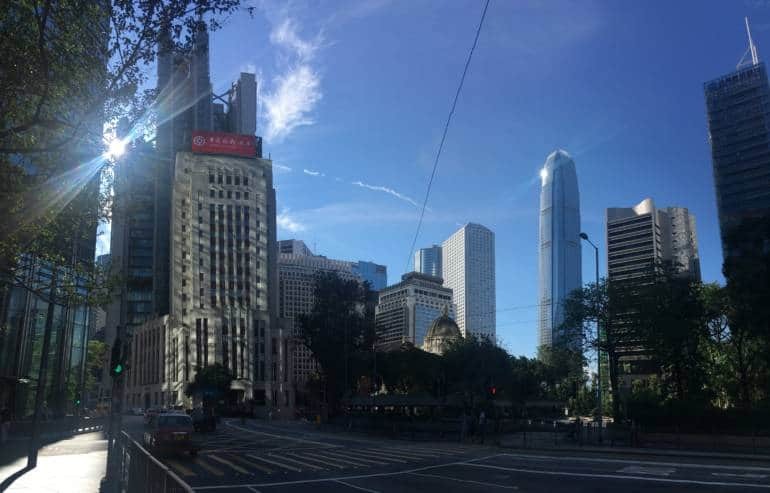 During one of the tours, the group begins at an unassuming office building—among the most iconic skyscrapers and beautiful colonial structures in Central. It’s one of the buildings slated for redevelopment. Built in 1976, the post office once stood along the waterfront of the Victoria Harbour—the shoreline is now much further away from the building thanks to reclamation projects throughout the decades. The basement of the building, therefore, was originally a dock for ships to park and collect parcels and mail. 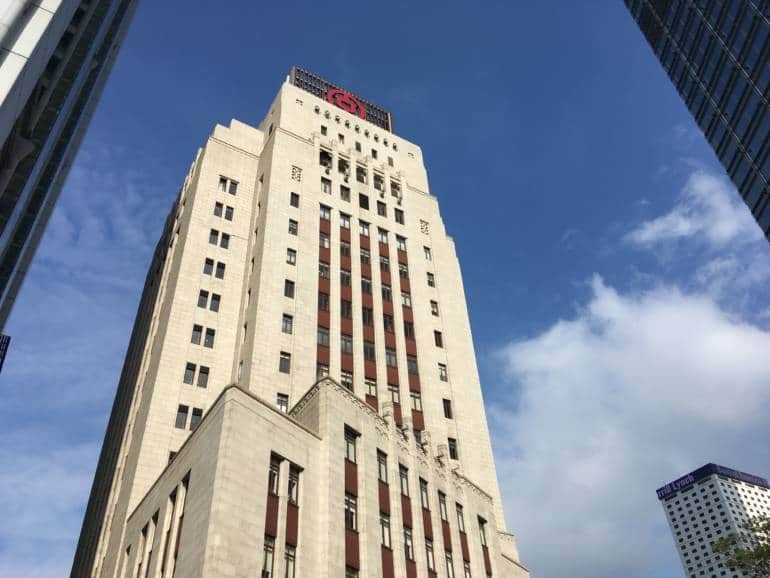 “Unlike colonial buildings that have a beautiful old facade, a lot of the post-war modernist buildings are endangered in Hong Kong as they don’t look ‘too old’ nor ‘too different’ from buildings we build nowadays,” says Lai. Historic buildings in Hong Kong are graded according to years. There are 1,444 Grade 1 to 3 buildings—meaning preservations of these buildings are encouraged but not a must. Only 120 pre-war historical buildings are declared monuments that are preserved and protected by the government. The organisation strives to raise people’s awareness of modern architecture. 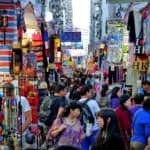 “What defines Hong Kong? 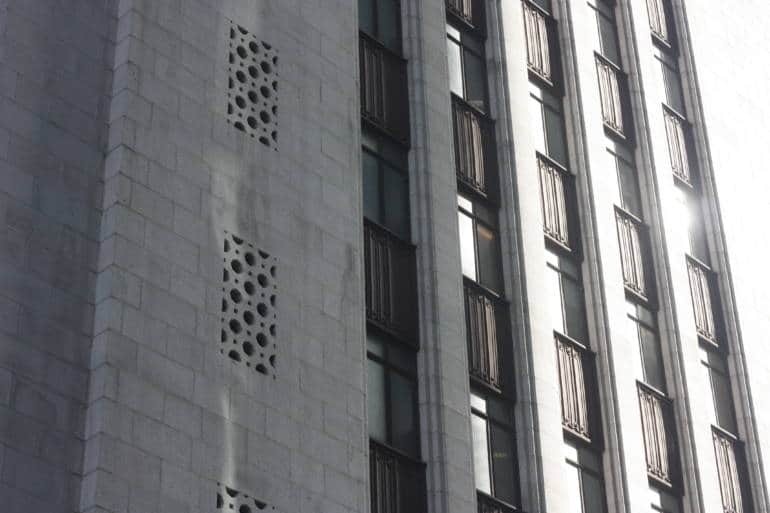 Architecture is important in building a narrative of a city—its history and culture. “Age isn’t the most important measurement when we look at a building, but its relevance to the people,” says Lai. 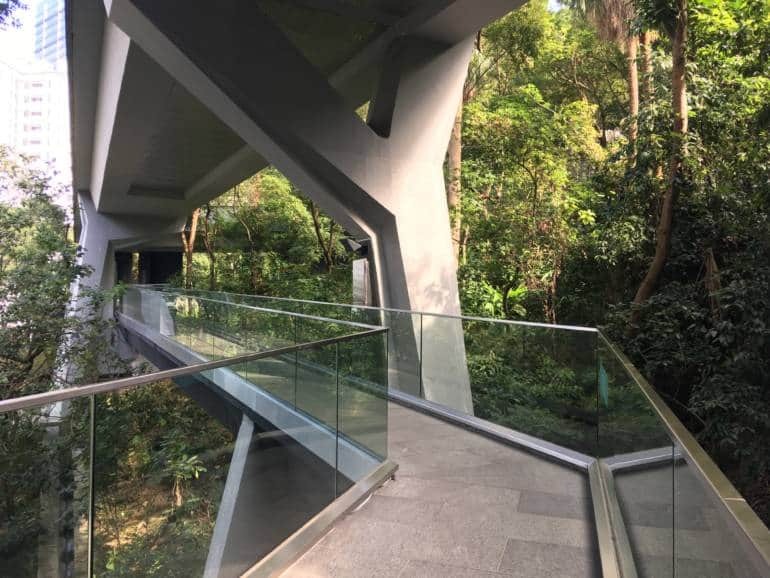 What architecture is relevant to Hong Kongers? During the Japanese occupation in World War II, many valuable documents related to buildings were either destroyed by the Japanese army or shipped back to the UK. It wasn’t until recent years that more historians and architectural scholars started studying Hong Kong architectural history. “In a world of globalisation, Hong Kongers feel the needs to define what is local culture, which in turn, has empowered the study of Hong Kong architectural history as well. “Our post-war architecture is heavily influenced by multiple cultures: Shanghainese architects who fled to Hong Kong during the war, overseas Chinese relocated from Southeast Asia and the UK as well as the West during the colonial era. 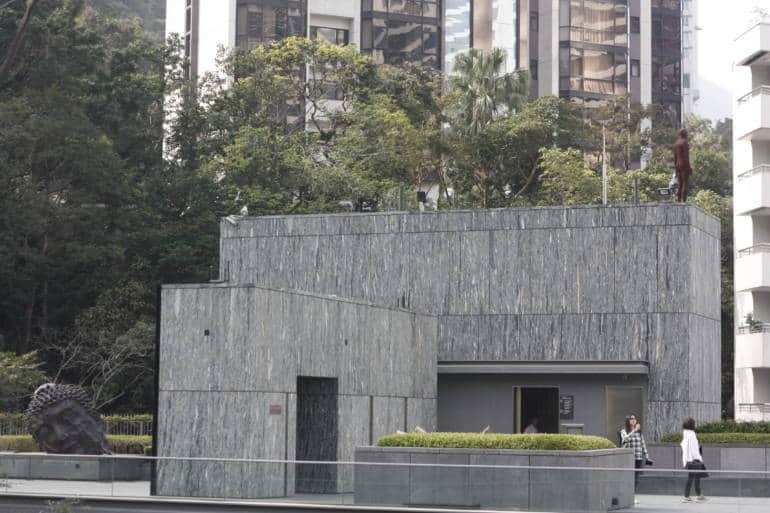 “So, hybridity is the most notable architecture style in Hong Kong ,” says Lai. 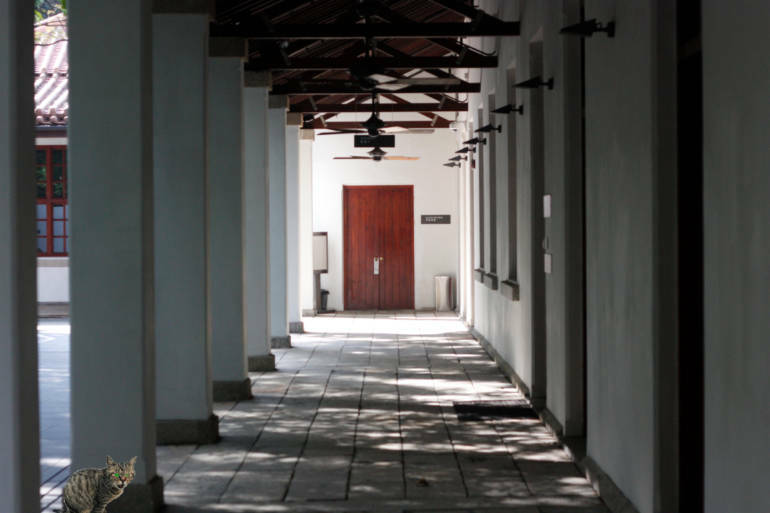 The former Victoria Barracks perched on the leafy hillside are now transformed into a well-curated modern art gallery, Asia Society. 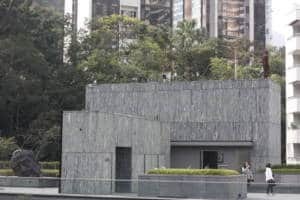 One of the best redevelopment examples in Hong Kong, the refurbished space is a striking mix of old stone wall and smooth marble blocks. The art space is also home to a contemporary tapas bar and restaurant AMMO. Tip: It’s especially beautiful at night when the elevated walkway lights up. 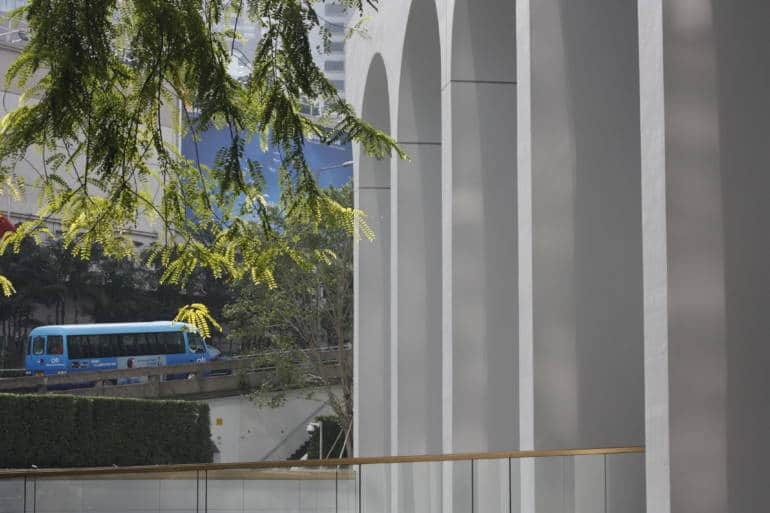 Once the tallest government building in Hong Kong and one of the most innovative eco-buildings when opened in 1969, The Murray was reopened in 2018 as a luxury five-star hotel. “It’s a daunting task to redesign an office building into a hotel—just think of the work put into transforming a big office space into rooms, each with a bathroom. “The Murray and Foster and Partners (the firm responsible for the remodelling) have come up with many creative solutions that respect the original architecture and fulfil the criteria as a five-star hotel at the same time. “Choosing a less likely place as the entrance and making use of the old driveway as an arched walkway, for examples,” says Lai. Tip: Poppinjays, the rooftop restaurant and bar on top of The Murray, offers a cool urban view of Central. 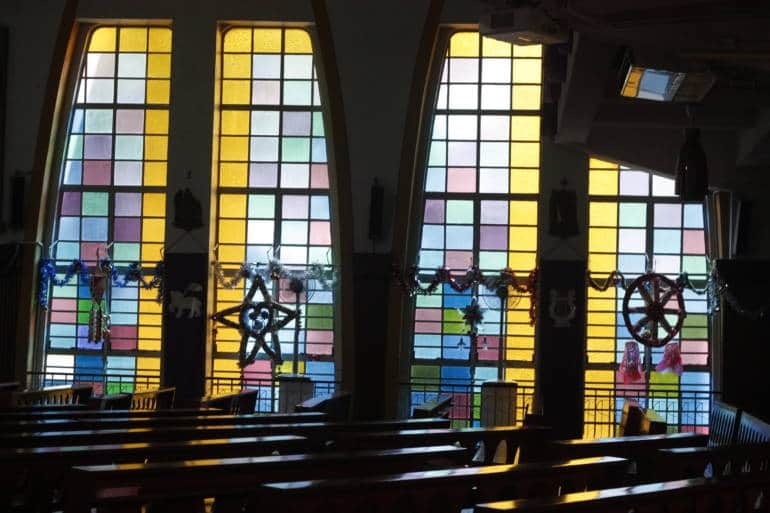 A stone’s throw away from the ever-popular Peak Tram Station, St Joseph’s Church has an eye-catching exterior design—massive white arches and blue walls. 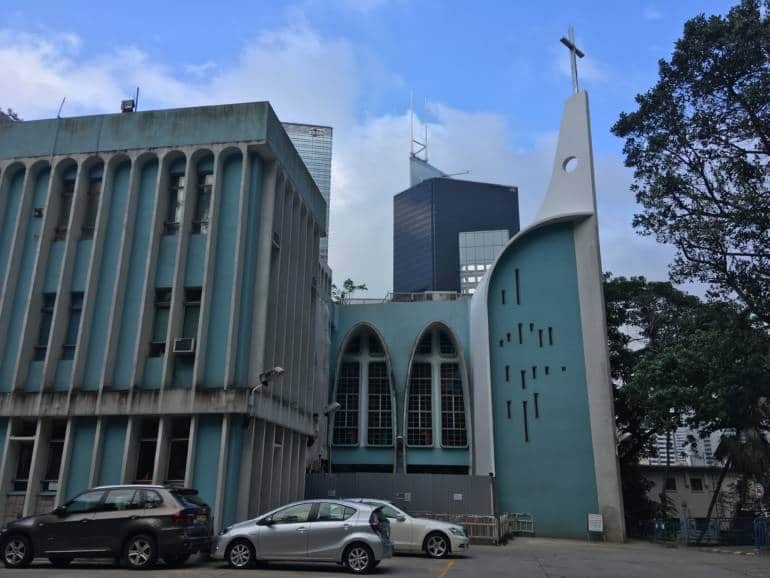 Dated back to 1872 and rebuilt in 1949, it’s one of the busiest Catholic churches in Hong Kong, hosting 10 masses on Sunday and three daily masses the rest of the week. “HWL is special because it speaks a very different language than the rest of the towers,” says Lai. Not the famous Bank of China Tower by I.M. Pei but the old 17-storey Bank of China Building on Des Voeux Road Central. 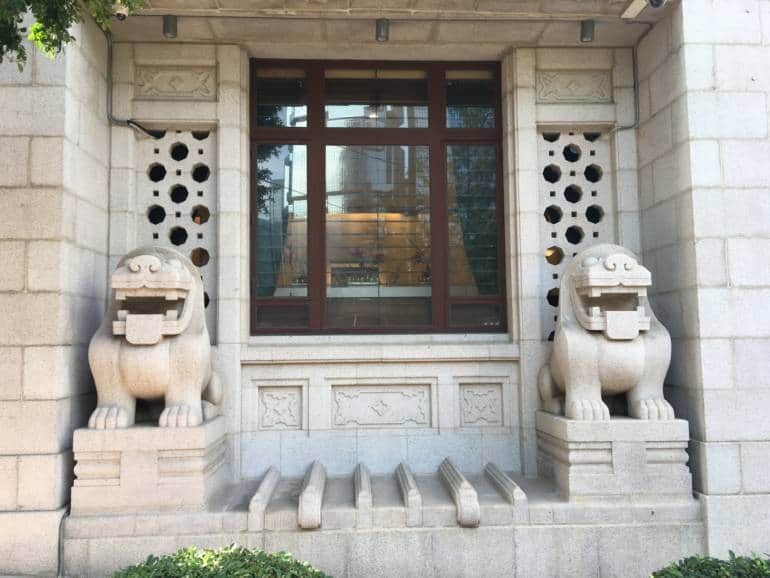 Designed by Palmer and Turner together with Shanghainese architect Luke Him Sau, the Art Deco-style building, completed in 1951, boasts a subtle but elegant granite facade with small Chinese motif details. The top three floors are now an exclusive members’ club China Club. Tip: The best location to photograph the building is from Cheung Kong Center across the street. You can capture the moment when a tram is passing through in front of the bank. 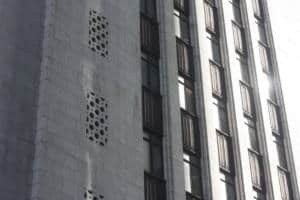 “Usually we overlook tower architecture and think that they aren’t too old but actually they are already products of the 1960s. They’re the first generation of tower buildings in Hong Kong and signifies a period of building boom and prosperity and optimism,” says Lai. 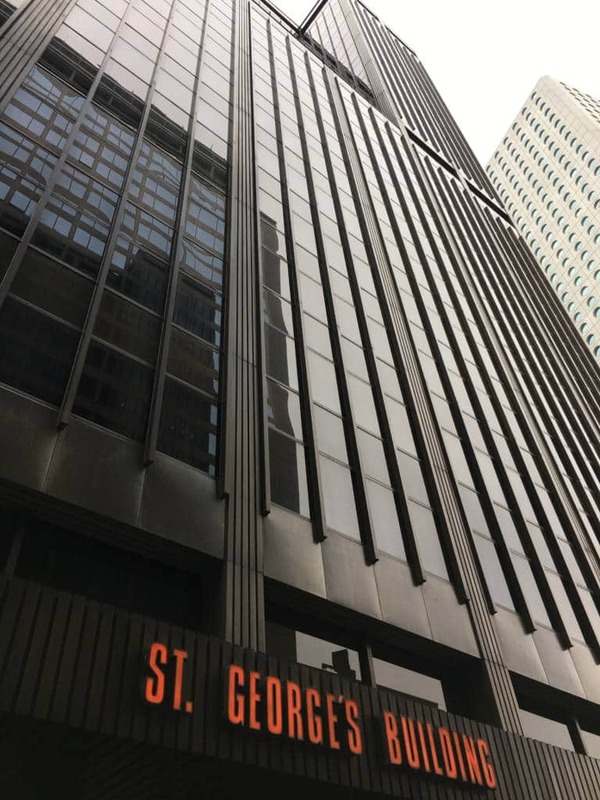 With a history dated back to 100 years ago, St. George’s Building was originally a bold Edwardian structure before being rebuilt into an office tower with bronze-coloured aluminium curtain walling in 1969. 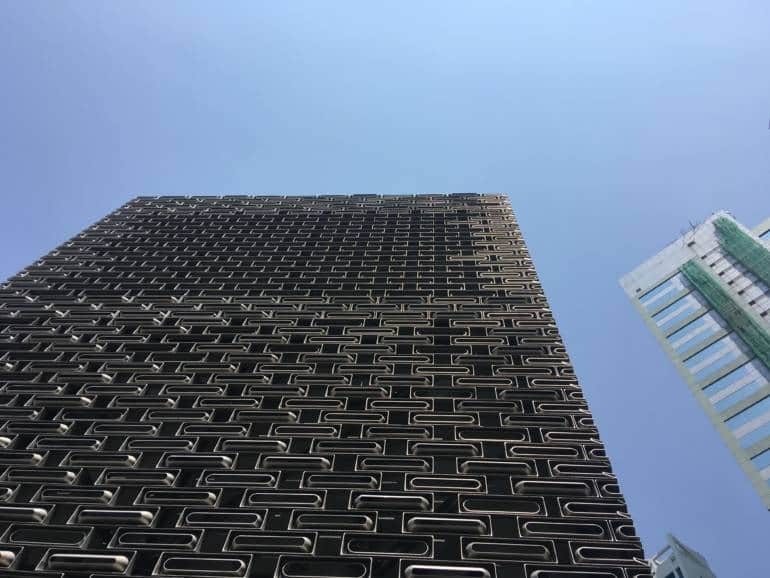 “In a very clever way, the building uses bronze-colour cladding and tinted glass, which makes it stands out from the white towers and glass towers in Central,” explains Lai. Opened in 1962, the Bauhaus style Hong Kong City Hall is the first multi-purpose cultural/community complex in the city. It comprises the High Block, the Low Block and a memorial garden. The Low Block houses theatres for performances and events. The High Block is home to Hong Kong’s first public library and art museum. 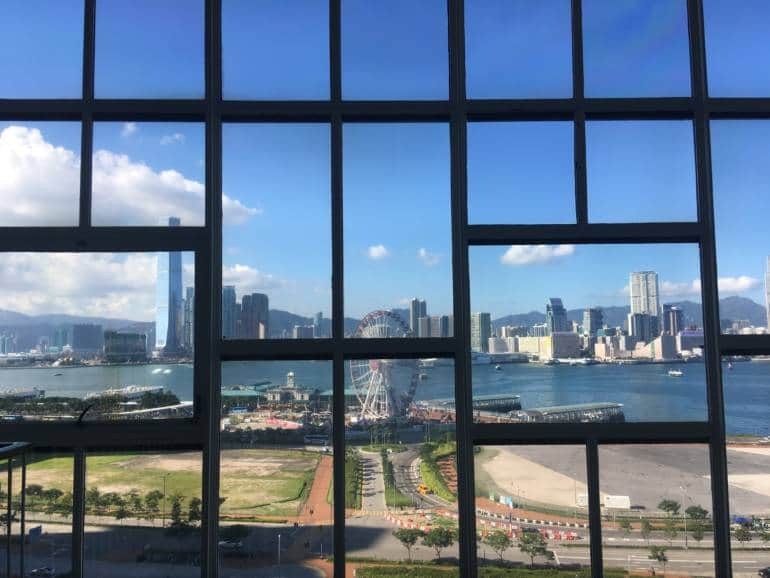 Tip: Head to the top floor of the High Block for one of the best and little-known views of the Victoria Harbour and the Observation Wheel. The 52-storey Jardine House was once the tallest skyscraper in Hong Kong when opened in 1971. 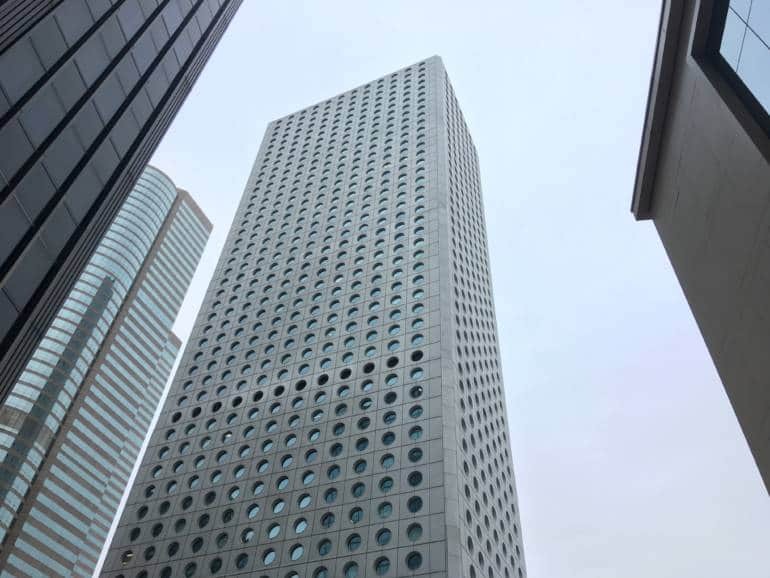 Now dwarfed by its neighbouring mega-skyscrapers, Jardine House—with its unique circle windows—still holds a special place in Hong Kongers’ hearts. 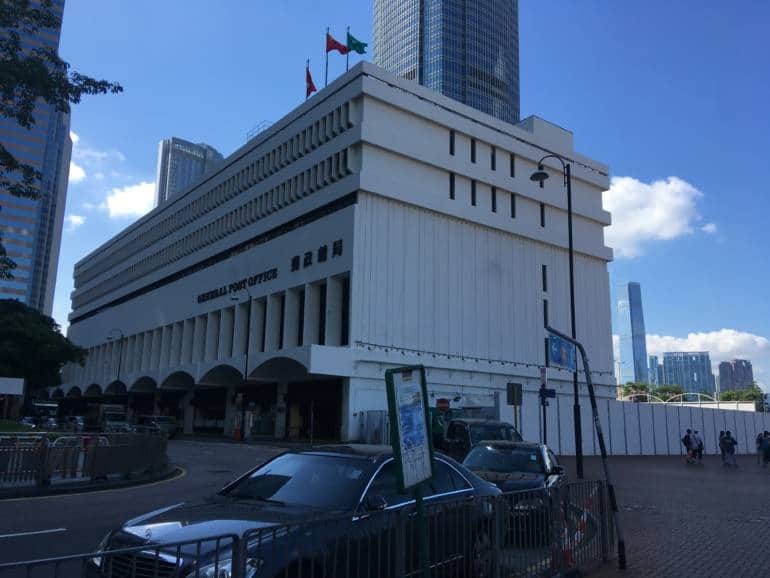 Occupying the current location since 1976, General Post Office’s, the headquarter of Hong Kong postal services, humble modernist architecture style is in striking contrast to the surrounding buildings in Central. It’s been scheduled to be demolished to make way for more office buildings. 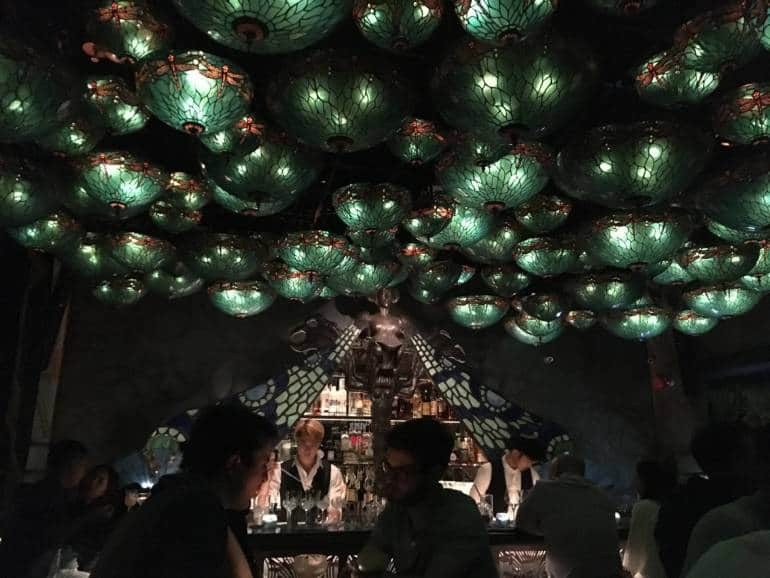 The latest and probably the coolest hangout in town—Tai Kwun—was once the Central Police Station compound. 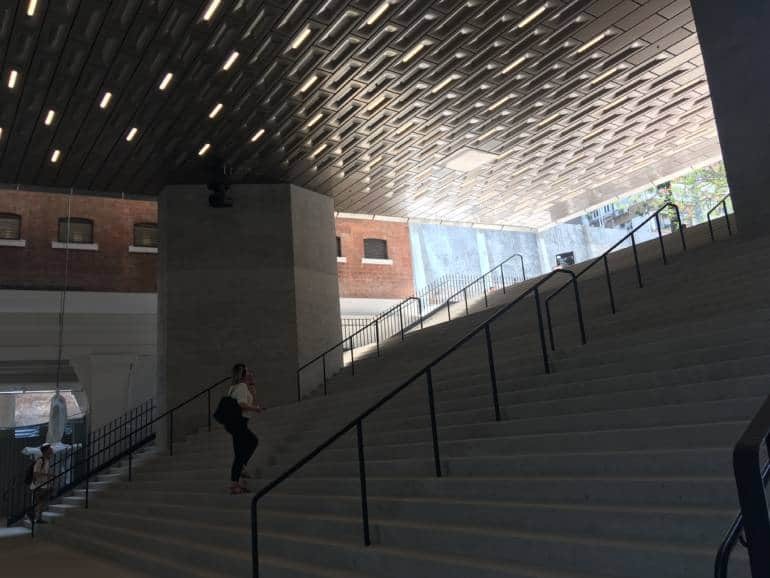 Reopened in 2018 after years of work by Herzog & de Meuron and Purcell, Tai Kwun—translates as “big station”—can be dated back to 1841. The 13,600 m² compound features 16 historical buildings, which are now a destination for art exhibitions, shops, restaurants and bars. Pro tip: Download the free Tai Kwun app or register on its website to secure a free entry ticket before visiting. If you feel like venturing outside Central, keep an eye on these buildings from Lai’s architecture wishlist, too.